Ir Dr the Hon LO Wai Kwok, SBS, MH, JP, is Member of the Legislative Council of the Hong Kong Special Administrative Region, representing the Engineering Functional Constituency. He is Chairman of the Public Works Subcommittee. Dr Lo is very active in the community and has served many government organizations, professional bodies and trade associations. He was President of the Hong Kong Institution of Engineers in the session 2007/08 and was a Sha Tin District Councilor for many years. 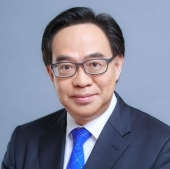 He is currently Chairman of the Hong Kong Quality Assurance Agency, member of the Hong Kong Science & Technology Park Board of Directors, member of the Housing Authority, the Hospital Authority, and the West Kowloon Cultural District Authority. He is Chairman of the Business and Professionals Alliance for Hong Kong, Chairman of the Hong Kong Green Strategy Alliance, and Past President of the Hong Kong Professionals and Senior Executives Association. Dr Lo holds an Engineering Doctorate degree of the University of Warwick. He is Honorary Fellow of the Hong Kong University of Science and Technology, Honorary Fellow of the City University of Hong Kong, Industrial Fellow of the University of Warwick, Honorary Fellow of the Hong Kong Vocational Training Council, Honorary Professor of the Open University of Hong Kong, and Adjunct Professor of both the City University of Hong Kong and the Technological and Higher Education Institute of Hong Kong. He was inducted a member of “The HKIE Hall of Fame” in 2015, the year that marked the 40th anniversary of The Hong Kong Institution of Engineers. Professor CAO is Dean of the Chinese Academy of PPP Governance, Central University of Finance and Economics (CUFE) based in Beijing, a think-tank and national platform for PPP research and education jointly established by MoF, CUFE and China CITIC Group. He is Professor of Law at Law School of CUFE and serves as Legal Counsel of Ministry of Finance. He also directs China Institute of Public Procurement at CUFE. Professor CAO is the Chief Scientist and Director of the award-winning Major Legislative Research Program on PPP by the National Planning Office for Social Science and sits on the Review Panels for national PPP model projects by Ministry of Finance. He also directs an award-winning project by World Bank (implemented by MOF) on domestic law reform in light of China’s Accession negotiation of WTO-GPA. He is currently serving the UNCITRAL Expert Group on PPP law reform. Prof. CAO Fuguo was a Visiting Scholar at Nottingham University Law School and Fulbright Visiting Scholar at George Washington University Law School. He served the Working Group and Expert Group preparing China’s Bidding Law, Government Procurement Law and Regulations on Concession in Infrastructure Sector, and the UNCITRAL Model Law on Public Procurement. He edits China Public Procurement Law Review and sits on the Editorial Boards of Journal of Chinese Government Procurement(China-based), Public Procurement Law Review (European-based), Journal of Government Procurement(USA-based), International Journal of Public Sector Management(UK-based), and Journal of Malaysian and Comparative Law (since 2013). Professor CAO authored five books and more than 50 referred journal articles on issues of corporate law, public (international) procurement\bidding\PPP law, energy law and healthcare law. A Chartered Construction Manager, Engineer, Project Manager, and Surveyor by profession, Ir Prof. Chan has worked in a number of tertiary institutions both in Hong Kong and overseas. He was a Senior Lecturer and Deputy Head of the School of Building and Planning at the University of South Australia. 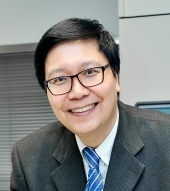 Ir Prof. Chan joined the Department of Building and Real Estate of the Hong Kong Polytechnic University in 1996 and was Associate Head (Teaching) from 2005 to 2011; Associate Dean and Interim Dean of the Faculty of Construction and Environment from 2011 to 2013, and from 2013 to 2014 respectively. He is currently Head of Department of Building and Real Estate. Ir Prof. Chan’s research and teaching interests include project management and project success, construction procurement and relational contracting, construction management and economics, construction health and safety, and construction industry development. Ir Prof. Chan’s research has had a real and significant impact on the construction industry resulting in changes in policy decisions. His recommendations have been incorporated in the Construction Industry Council Guidelines on “Site Safety Measures for Working in Hot Weather” in April 2013. He has produced over 700 research outputs in refereed journal papers, international refereed conference papers, consultancy reports, and other articles. He has won a number of prestigious research paper and innovation awards since 1995. Ir Prof. Chan holds an MSc in Construction Management and Economics from the University of Aston in Birmingham, and a PhD in Project Management from the University of South Australia. Ir Prof. Chan maintains good links with overseas institutions. He has been an Adjunct Professor in a number of universities. Ir Prof. Chan was also a Founding Director of Construction Industry Institute, Hong Kong, which was a joint research institution developed by industry and the academia. 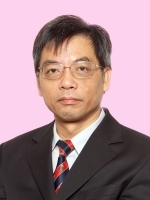 Professor Man-wai CHAN is a Chartered Surveyor (FRICS and FHKIS) by profession. He has many years’ experience in development, construction project and facilities management in private and public sectors both locally and overseas. Professor Chan was the Executive Director (Project Delivery) of the West Kowloon Cultural District Authority (WKCDA) of Hong Kong. Prior to joining the WKCDA, he was the Vice President (Projects and Facilities) of the Hong Kong Science and Technology Parks Corporation. He oversaw the planning, development, construction and facilities management of the Hong Kong Science Parks, Innocentre and Industrial Estates. He is the Founding President of the Hong Kong Institute of Facility Management (HKIFM). In 2007, he received the Distinguished Building Surveyor award by The Hong Kong Institute of Surveyors. Prof. Chan had worked in the academia for many years and held a number of key positions of Government committees, professional institutes and universities including member of the Buildings Tribunal, external examiner of HKU, City U and PolyU. Prof. Chan obtained his MSc(CPM), MIPA and PhD from the University of Hong Kong. He also holds a MSc(MPM) from the University of Oxford. Prof. Chan is currently Adjunct Professor of the University of Hong Kong and Professor of Practice of the Hong Kong Polytechnic University. Albert K.H. Kwan is a professor in the Department of Civil Engineering, The University of Hong Kong. He had been Associate Dean of Faculty of Engineering for seven years and Head of Department of Civil Engineering for three years. He was the specialist sub-consultant when the new Hong Kong Concrete code was drafted and has written an explanatory handbook on the code. He also served as a specialist sub-consultant to help incorporate the use of high-strength concrete into the new Singapore Concrete Code. He had worked on a number of major infrastructure projects with a consultant firm in Hong Kong before joining The University of Hong Kong to become an academic. He was a civil and structural engineer by training but later changed his specialty to concrete materials, especially high-strength concrete, high-performance concrete and green concrete with low carbon footprint. He has developed a wet packing method for measuring the packing density of cementitious materials, mortar and concrete under wet condition and has applied this method augmented with powder technology to the optimum mix design of concrete materials. Through the years as an academic, he has also acted as an independent consultant to help solve industrial problems, especially those related to concrete construction, cracking and water leakage. He was the founding president of Hong Kong Concrete Institute and a board member of Chinese Concrete Institute. 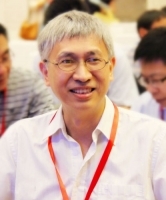 As a board member of Hong Kong Concrete Institute, he has managed to publish a number of test method manuals and production certification schemes. As a materials engineer, he also practices as a quality engineer in laboratory assessment and product certification. 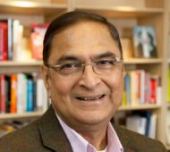 Professor Lalit Johri is a Senior Fellow in International Business and the Director of the Oxford Advanced Management and Leadership Programme at Saïd Business School, University of Oxford. His areas of expertise include strategy and leadership in international businesses, alliances including public private partnerships, public policy and institutional reforms and emerging markets. Professor Kerry London joined the School of computing, Engineering and Mathematics in July 2017 as Deputy Dean and Professor Built Environment and Urban Transformation. Prior to this Kerry held the position of Dean of Research and Innovation in the Division of Education, Arts and Social Sciences at the University of South Australia, where there are more than 200 academics and 285 HDR students; where she led the research portfolio through a change management process to improve performance. Kerry was previously a Professor of Construction Management at RMIT University, Melbourne where she held various positions including Deputy Pro Vice Chanceller Learning and Teaching and was responsible for the teaching portfolio across the College with over 22 enrolled students. 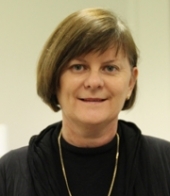 She is an experienced academic leader and has worked at Deakin University and University of Newcastle. She has held various senior administrative roles spanning a career in academia which began in 2002 including; Chair University Academic Progress Appeals Committee (Deakin University), Node director CRC Construction Innovation (University of Newcastle), Associate Dean Research Faculty of Science and Technology (Deakin University), Associate Dean Community and Engagement Faculty of Engineering and Built Environment (University of Newcastle) and Founding Chair Human Research Ethics Committee Faculty of Engineering and Built Environment (University of Newcastle). Kerry was also founding Director of the Centre for Integrated Project Solutions at RMIT University with a membership of 21 academic staff and 18 PhD students. She was founding Director of the first research Centre in the School of Architecture and Built Environment University of Newcastle. Prior to RMIT she held academic positions at Deakin University, University of Newcastle and UNITEC. She was the first female Chair in Construction Management in Australia at Deakin University. She was also the first academic (and female) to be President of the Chartered Institute of Building Australasia Council, an international professional association that accredits tertiary degrees in more than twenty countries. She has held Ministerial appointments to the Built Environment Industry Innovation Council and the NSW Board of Architects. She is a Member of the Australian Sustainability Built Environment Council (ASBEC), which is the peak body of key organisations committed to a sustainable built environment in Australia. She is a Board Member of the Lean Construction Industry Association. She is a foundation Board member of the Australian Housing Supply Chain Alliance. 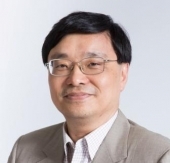 Dr WANG ShouQing, Professor, Dept of Construction Management, Tsinghua University, Beijing, China; Chief Specialist, Center for PPP, Tsinghua University; Director, PPP Lab of Hang Lung Center for Real Estate, Tsinghua University. His research and teaching interest has been solely on PPP since 1996. 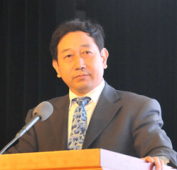 He has produced 300+ publications, being one of the top contributors of international journal papers on PPP in last two decades and Chinese Most Cited Researchers during four successive years (2014-2017), and has offered thousands of lectures on PPP to relevant professionals and officers in China. He is also Chairman of Academic Committee of the Chinese Universities PPP Forum (60+ universities), Chairman of the China National Collaboration Network for M.Eng. (PM) Education (160+ universities), one of the two country’s leading experts for legislation of the China Concession Law for Infrastructures (draft edition), Editorial Board Members of the International Journal of Project Management, Journal of Financial Management of Property & Construction, etc. Dr Wang is praised as the “Godfather of PPP in China”.